A good top coat not only protects your manicure but also provides your nails with a protective covering along with shine and chip resistance. These days some top coat paints also come with UVA and UVB protection. It helps your nails to stay protected against sun damage. Sally Hansen is a well known cosmetics brand. 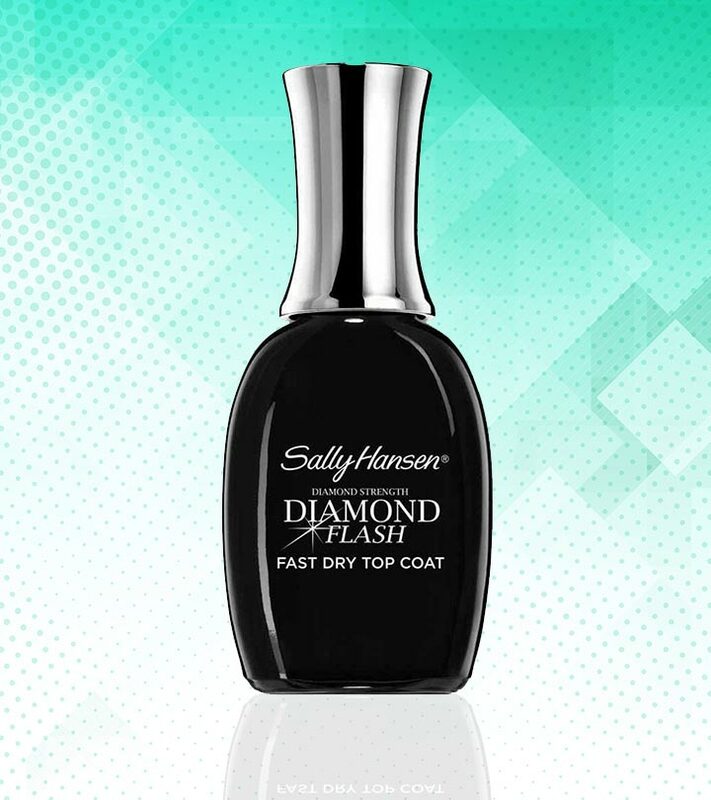 The Sally Hansen Diamond Flash Dry Top Coat is one of the costliest top coats available in the market. However, it is fast drying and gives you brilliant shine and strength. Your manicure will last longer and your nails will be protected against breakage. You can definitely give this a try if you are ready to spend the extra buck. Maybelline is a big name when it comes to cosmetics. They offer awesome colors for nail enamels. Their Express finish range is quite popular. You can try out the Express Finish Brilliante Transparent Nail Polish which is a good and fast drying top coat. It dries in about 40 seconds and comes with a flat brush for easy and quick application. Sally Hansen is a well known cosmetics brand which offers a wide range of nail products. 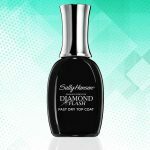 Sally Hansen Double Duty Base and Top Coat can be said to be a two-in-one product. It can serve the purpose of both base and top coat. It is a bit costly on the pocket. However, it is a good formulation that strengthens the nails and gives it a good shine. Lotus Herbals is a much known brand and quite liked by girls in India. The Lotus Herbals range of nail enamels is quite pocket friendly. You can try out their transparent top coat Color Dew Nail Enamel-901. 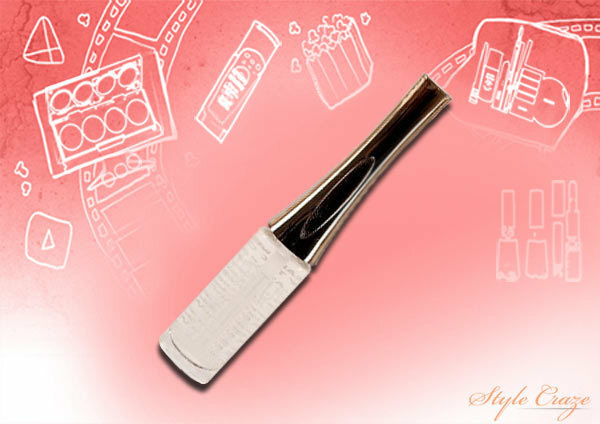 It gives a smooth and nice finish and protects your manicure for a longer time. Lakme is a cosmetics brand which has won the heart of millions over decades. It needs no special mention as to its quality. Its products are quite pocket-friendly. Lakme True Wear 012 top coat is easily available in drug stores or online. It gives a chip resistant protection and lacquer-like shine to your nails. It also strengthens the nails and prevents fading of manicure. Rimmel London is a well known brand when it comes to cosmetics. Their Pro Super Wear Ultra Shine Top Coat gives a great shine and finish. It almost gives a 3D effect to your nails. It is affordable and pocket-friendly. It has a UV Shield which protects your nails from the harmful UV rays of the sun. 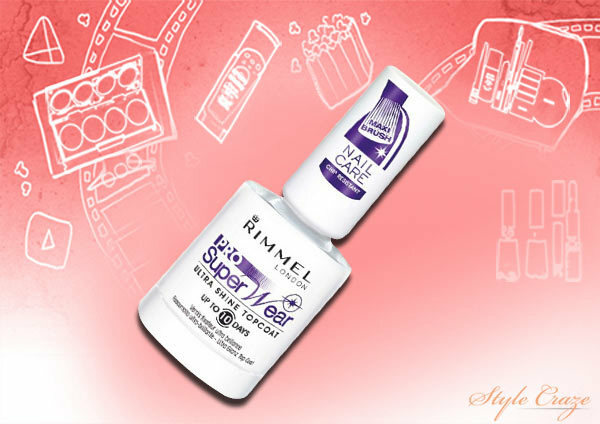 It gives ultra shine and enhances the staying power of your manicure without letting it fade quickly. If you want a nail polish which can work both as a top and base coat then this is your one stop choice. 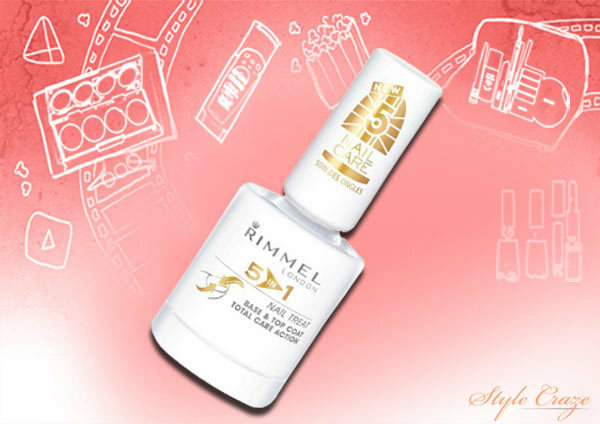 For people who like to keep things simple, Rimmel London 5 in 1 Nail Treat is definitely for them. This gives strength and shine. So, you can wear it as a base coat and also after doing your manicure as a top coat. Sally Hansen is a well known brand. It has a good range of nail products. This transparent top coat gives extra shine and strength to your nails. Your manicure will last longer without fading or chipping. Revlon’s Color Stay Top Coat comes with Polymer Complex which is effectively combined with protective luster-lock silicones. It helps smoothen out any surface imperfections of your nails. It also gives a great shine. It dries fast and prevents chipping. Konad Regular polish is a fast drying top coat. It gives a superior lacquer finish. Have you tried using this top coat yet? Hope you liked this post. Which is your favourite top coat?